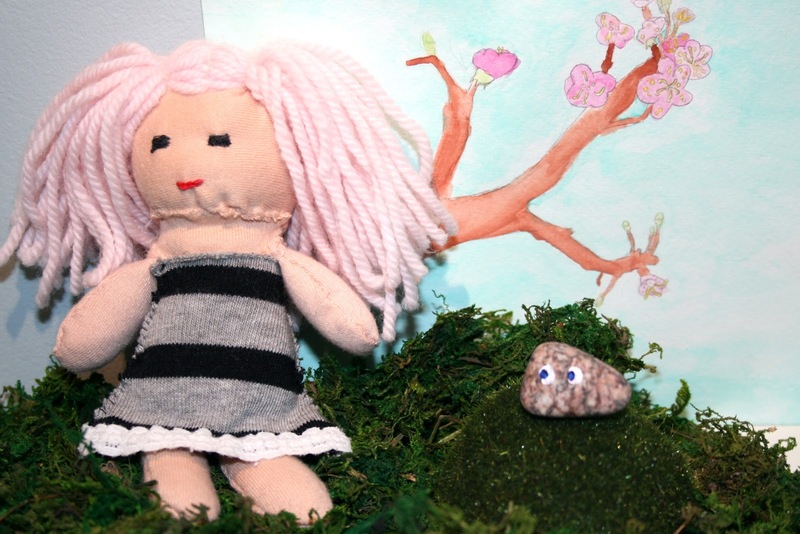 These are some knit/sewn/painted rock dolls I have made! The first two are a fuzzy creature and a snail. 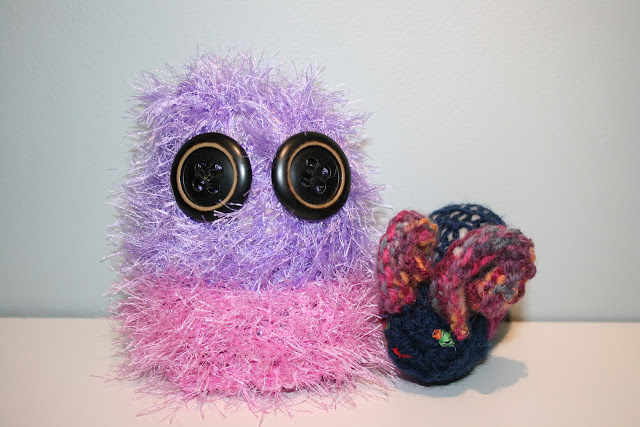 The fuzzy creature was made on a knitting machine. I made another fuzzy creature but that one was to shy for me to take photos of! The snail is hand-knit and I embroidered on the eyes and mouth. I made up the pattern as I went on the snail so sadly I don't have a pattern to make more snail friends.. I'll have to make an updated snail pattern someday! 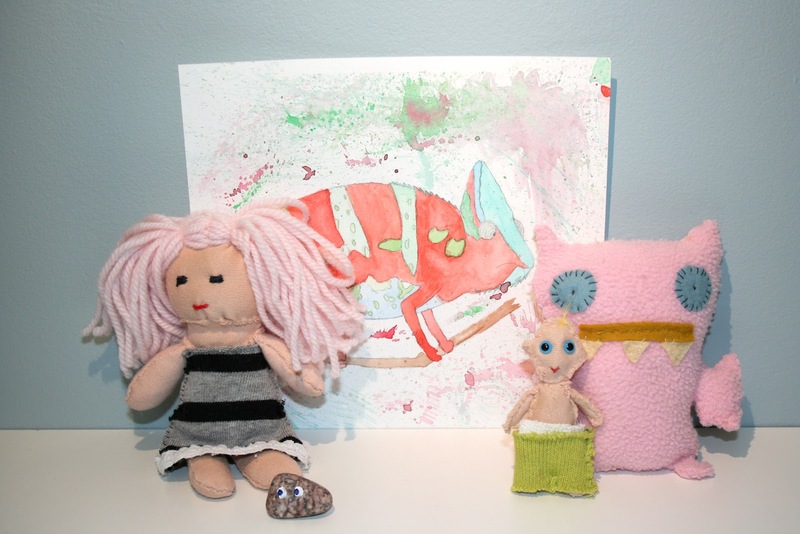 These three sewn dolls are (from left to right) Candyfloss, Mini Baby, and my version of an Ugly Doll. We got my mom an Ugly Doll bat one year for her birthday and I loved it so much I wanted to make my own! I remember working really hard on sewing the eyes and making sure the stitches were as even as possible as I could do at the time! Candyfloss and a little pet rock on a stone covered in moss! The cherry blossom tree watercolor painting you see in the background was painted by me as a gift for one of my sisters. And Candyfloss, the pet rock, Mini Baby, and my Ugly Doll all together with a watercolor painting I did of a chameleon! How cute! These dolls are probably one of the cutest little creatures I have ever seen! Keep up the good work.